Designer trio Harrit-Sørensen+Samson designed the Snowdrop series of lamps in 2009. Clearly inspired by Natures own snowdrop, the Snowdrop series is a shining example of how craftsmanship traditions can be successfully combined with modern design expression. he series also includes four sizes of pendant Model 120 and Model 320M standard. Please note that this product is provided with an EU plug + a UK adapter. For fixed UK plug options please contact your trade account manager. The Harrit-Sørensen + Samson design team comprises of Thomas Harrit, Nicolai Sørensen and Kim Samson. All three graduated from the Danish Design School in 1991. They have worked together since their first year. Thomas and Nicolai run the Harrit-Sørensen design studio. They are best-known for their KNAX coat and hat rack, and the Green Light traffic signal, for which they were awarded the Danish Design Prize in 2000. Kim Samson has worked for IKEA, where she designed the REDD shoe rack. she now works freelance. 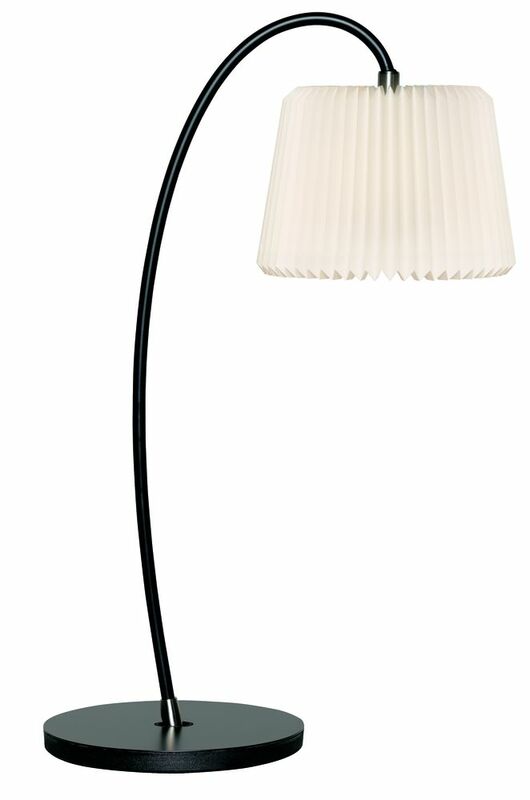 The three designers joined forces to create the Snowdrop lamp range for LE KLINT. Thomas and Nicolai controlled the functional developments while Kim's contributions focused on giving the products their feminine lines. The Snowdrop is a shining example of fine craftsmanship traditions with an unmistakable modern twist.